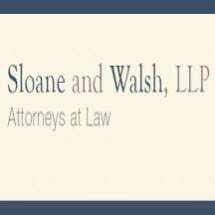 Sloane and Walsh was founded in 1928 as a firm of trial lawyers, schooled in representing clients in court, at trial. The firm and its reputation have grown—we are now widely recognized as a premier trial firm, both capable of and committed to undertaking any civil litigation. This reputation is well-earned and has been secured through the successful representation of clients in complex, high-profile, and high exposure litigation. We believe that the skills necessary to be a successful trial advocate can be applied across a breadth of civil practice areas. Whether the issue is defending the physician against claims from a professional basketball player's estate, representing an insurer in the first case tried in the Massachusetts Business Court, defending a town against civil rights claims all the way to the United States Supreme Court, or representing the Massachusetts Secretary of State in an investigation of a multi-billion dollar business merger, or any other form of civil litigation, the demand is the same: uncompromising commitment to success for the client. The foundation of successful representation remains the same, with the lessons learned and the techniques developed constantly refined and reapplied across all practice areas. Our firm has been molded by the leadership of Bill Dailey, recognized as one of, if not the premier trial attorney of his time. His experience and insight, in combination with his tutelage of each new group of lawyers in the office, furthers each attorney's goal to become a successful trial lawyer. We routinely represent clients in every court in the Commonwealth, the Federal Court in Massachusetts, and a variety of administrative agencies and boards. In addition to Massachusetts, we represent clients in Rhode Island and New Hampshire. The fact is that the majority of disputes, regardless of the underlying issue, are resolved without trial. The negotiation of a favorable outcome is often dependent on the same thorough preparation for trial, proper positioning of the issues, studied application of the law and unwavering advocacy. By implementing this type of comprehensive representation, negotiation can represent a successful outcome for our client. Sloane and Walsh has also been a leader in effective appellate advocacy and has an enviable record of successful appeals in the Massachusetts Supreme Judicial Court, the Massachusetts Appeals Court, and the United States Court of Appeals for the First Circuit, many of which involved issues of first impression. Perhaps the most critical skills of a successful advocate are the abilities to listen, learn, and communicate. Each client's needs are different, and success is dependent on the unique facts and issues presented. Therefore, we focus on listening to the client, gaining a clear understanding of the nature of the problem in all of its complexities, persuasively communicating the client's position, and recognizing the client's ultimate goal. We seek to develop a partnership with each and every client. We recognize that in most cases, early involvement and a thorough understanding of the issues result in the best possible outcome. Working with the client, we can provide guidance at the outset, including advice at any formal investigation, combined with knowledgeable advice on litigation options—the provision of these critical elements helps our clients achieve the best possible outcomes. While the layers of investigations and administrative agencies can be daunting to clients, our experience with administrative agencies and their staffs allows us to effectively guide clients through the process and position cases for successful resolution. We provide legal services based on a variety of fee arrangements designed to meet the client's needs and case-specific considerations. Most often, we work on an hourly rate agreed upon with the client. We control legal costs by working closely with each client and company to define the goal and develop a litigation plan designed to achieve it. The firm achieves efficiencies by combining cutting-edge litigation technology with an excellent paraprofessional staff. Recognition among one's peers is one measure of quality. Our reputation and experience in the legal community results in the firm being asked to represent other members of the legal community in both administrative and civil litigation matters. In addition to representing attorneys at the Board of Bar Overseers and at trial, we have been asked to represent a trial judge on conflict issues, an appeals court judge against malpractice claims, and court officials in a civil rights claim. We are proud of the fact that several members of the firm are members of honorary trial advocate's societies. We are committed to what we do, and more generally, to the trial process. Our members are routinely asked to participate as lecturers in legal education programs including programs sponsored by the American Bar Association, Massachusetts Bar Association, Massachusetts Continuing Legal Education, Massachusetts Academy of Trial Attorneys, Massachusetts Defense Lawyers Association, Risk Insurance Management Society, Inc., and several of the leading universities and law schools in the area, including Harvard University, Boston College and Suffolk University. The members are also frequently asked by judges to participate in seminars and demonstrations of trial practice and related issues. Our commitment to the law and the legal process adds to the depth of the advice and judgment that can be shared with our clients.